Happy December! I'm re-energized after an amazing couple of days in Arizona. There was lots of food, family time, hot sun, long walks, and a bit (okay A LOT) of pampering. I am more than ready for the craziness of the season! I absolutely love this time of year. Who doesn't? 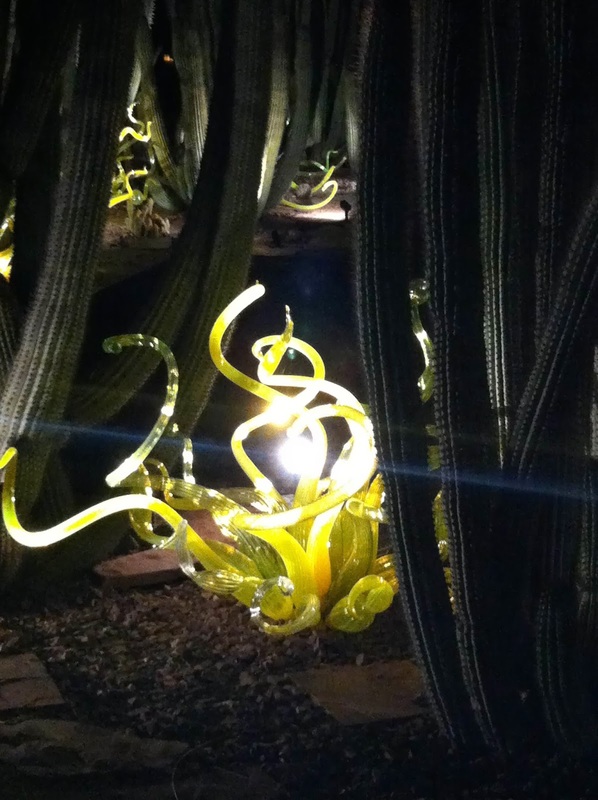 PS: I took this photo at the Desert Botanical Gardens in Phoenix. I finally got to see Chihuly's work. So funny! I was there on Saturday morning. Growing up in Seattle I've seen enough Chihuly for one lifetime, but I did like the pieces where the glass was sporadic and integrated, rather than big sculptures in the center of things.